173 Reviews of Thor Motors Orillia Ltd. This is our 4th new car experience with Thor Motors. Mike Rumball, the sales manager and his team in both the sales and service departments have made car buying a pleasant experience. They go out of their way to make sure I'm totally satisfied. I would highly recommend Thor Motors for your next vehicle purchase or lease. Dealership was unknown to us until the Saturday we purchased our 2018 Ford Escape. Branden and Chris were excellent through the sales process and on the day we picked it up, Paul was so knowledgeable and accommodating as he showed up the many features of our new vehicle. We would definitely recommend this dealership for their professionalism and attention to what the customer needs and wants. "Again a great experience "
My second purchase and again a smooth transaction with a great staff. Sales and service is second to none. You're made comfortable from the time you arrive until you drive away. Highly recommend you buy your next vehicle at Thor Motors. 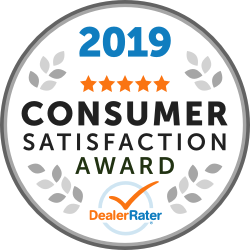 "Awesome Dealer and Customer Service"
"Great experience purchasing my Ford Escape"
The Staff at Thor Motors were great they took care of me very well I would recommend them for your next purchase. good value and excellent service. "I will never give Thor Motors my business again or recommend"
I am completely dissatisfied with the service of THOR Motors Ford. On Friday February 01, 2019 I contacted Thor Motors regarding replacing my broken driver side mirror. They informed me the part was not in stock and needed to order the mirror, they required the part be pre-paid by my credit card. I was charged on my visa $956.24 for the part (only) in advance and upon ordering. On the following business day on Monday February 04th, 2019 I contacted Thor by phone regarding cancelling the ordered part. After consideration of the huge cost of the part I had explored other options of obtaining the part for a significantly lower cost. I had even found the part on-line for about a $150 and the Bourgeois Ford Dealership in Midland, Ontario had agreed to install it. This cost savings was significant . Thor Motors told me that I could not cancel the order and that I would have to assume the full cost of the mirror and that it could NOT be returned or cancelled. This was not acceptable. The next day my Uncle attended Thor Motors to discuss cancelling the order or returning the part. They agreed that it could be done. I next called Thor to cancel the order and request return of the part and they informed me that this could NOT be done. My Uncle returned to Thor Motors and spoke with the manager regarding returning the part. The manager said the part could not be returned and it would still cost me $380 to pay for a part I never took delivery of. On Wednesday February 06, 2019 I attended Thor Motors in person to discuss resolving the issue. Thor Motors refused to reasonably return the part. 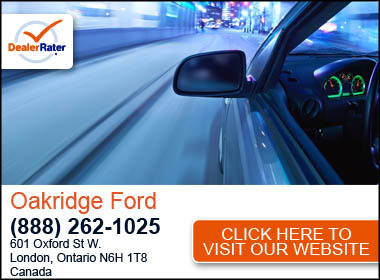 I would expect that a small administrative fee or small percent restocking fee would be reasonable and justified way to resolve returning the part, however Thor insisted that the part could not be returned to Ford. I do not believe that almost $400 or about half the part cost is reasonable for a return. On this date they basically left me with no alternative but to have the part installed as it had been pre-paid in full by my credit card and they would not refund the cost. The part was installed on this date and the labour was paid for the installation. It is completely unacceptable this type of business practice is allowed to happen. It is unacceptable that the order would not be cancelled, it is unacceptable that the part would not be returned, it is unacceptable that the cost had to be pre-paid when common business practice is to pay only once the part had been installed and the job is completed, and it completely unacceptable that Thor Motors made no effort to satisfy me a customer by charging a small fee to cancel or return the part rather than holding me hostage to a $956 pre-paid part. I will never give Thor Motors my business again or recommend them to anyone. Greg always gives excellent service. He explained everything really well and mentioned that I would need some further work at a later date. He also made sure my car was brought inside for pickup after service was completed because he knew that I had a hip/knee replacement and was having difficulty walking too far. Map and Directions to Thor Motors Orillia Ltd.